Tuesday, October 6th, 2015 at 10:25am. The Spady Cultural Heritage Museum is a beautiful and charming, non-profit organization in Delray Beach, Florida. The museum is offering its first “Ride & Remember” Trolley Tour for 2015 to 2016 season. The first trolley tour will take place this Saturday, October 10th. The monthly tours will take place on the second Saturday of each month. 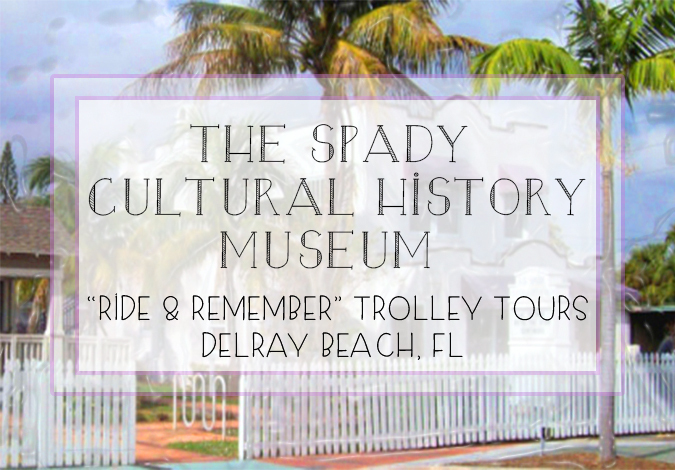 With the historic trolleys and important history, The Spady Cultural Museum will make Delray Beach history come alive. The tour guides will share stories of the personalities, events and places that shaped this beautiful beachside city. Guests will tour the Spady Museum, take a trip through five historic districts and disembark at select historic sites for an up-close look.